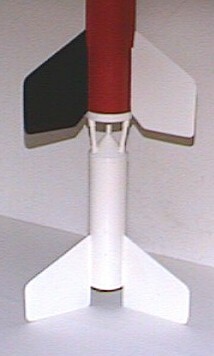 Diameter = 2.63" and 1.635"
This picture is of the complete Aerobee Hi with payload section (NRL-42 version). It may also be configured in the USAF-79 configuration (no payload section). Decals for both configurations are provided. This picture is an enlargement of the booster section and tail section of the sustainer. Both sections contain 29mm motor mounts. 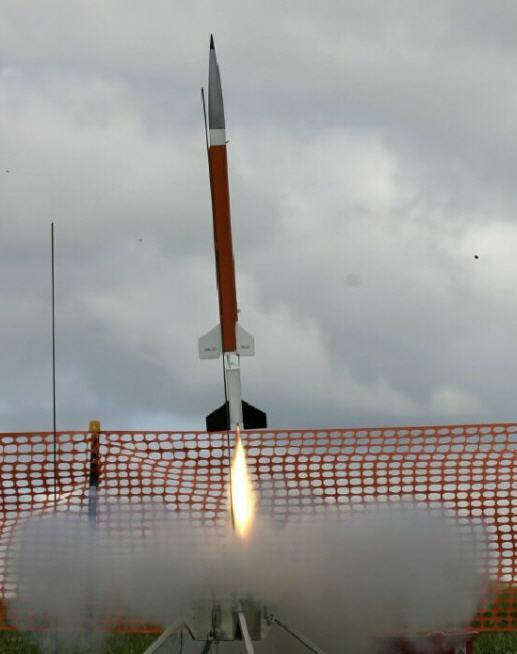 This kit can be flown in either single or two stage configuration. Staging electronics are supplied by the builder.